Although shrewdness can often strike you a tasty deal in the consumer electronics market, Apple is one company that just doesn’t haggle, and trying to find the latest Apple gadget cheaper than the fruit company’s RRP can often be more difficult than trying to secrete blood from a stone. Despite the consensus that Apple products don’t drop in price unless they are superseded, research carried out by Dealnews suggests this may not be the case, and after in-depth analysis of the market over the past 3 years, has concluded that finding a good deal on the Mac is all about striking the iron while it’s hot. The time in which you decide to make the purchase can have significant effects on the amount of money you wind up parting with, and while, as you’d expect, the price is significantly lower in the months / years post release, it has also been discovered that waiting just a few days can save quite a notable amount of money. While Samsung et al are quick to make something of a mockery of those queuing outside those iconic Apple Stores waiting for the next Apple product, the findings suggest the early adopters are paying the price in more ways than hypothermia and humiliation. Of course, the deals don’t tend to come courtesy of Apple, and are usually made possible by the authorized resellers such as Amazon, MacMall, and MacConnection. Within two days of the release of the 15.4-inch MacBook Pro – released last October – one could already save $49 by shopping around, and by January, resellers were offering price reductions of up to $299, which certainly ratifies the statement that good things come to those who wait. 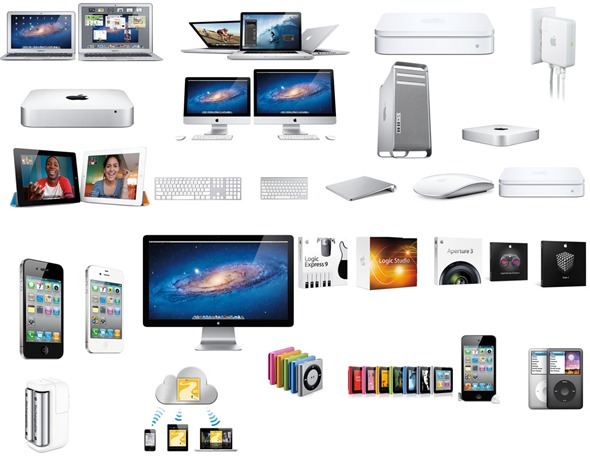 There’s no doubt that Apple’s vast product range prices many consumers out of the market, but Dealnews’ research does show that by shopping around properly, as opposed to gazing longingly at the sky-high prices seen throughout stores, you may be surprised with how much you can save. Let’s face it, the prices are not going to be lowered by Apple themselves, so if you want to get the next Mac at the cheapest possible price, you’re advised against queuing outside the Apple Store in advance.